When you're seeking a premium memory gift for clients and peers alike, you can't go past our Stylus Pen USB Flashdrives. 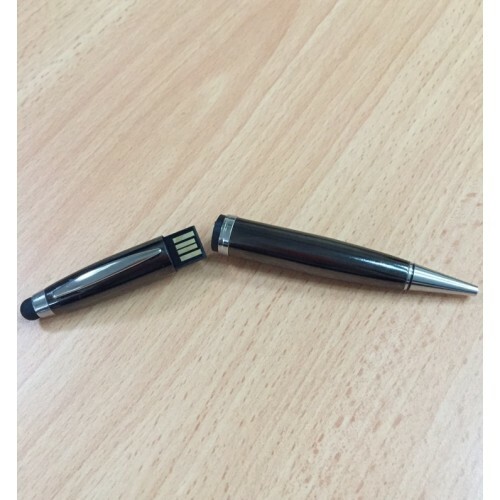 Featuring a quality metal outer barrel with soft stylus tip, our Stylus USB Pens can be parted in the middle to reveal a flash memory drive perfect for storing your daily use data. The stylus tip is designed for seamless use on tablets, smart phones and phablets alike. What's more, we will brand your logo directly onto these pens in either bold pad print OR premium laser engraving so your recipients can carry your logo with you wherever they go. Perfect to give as corporate gifts at the annual retreat or the company Christmas Party, our Stylus Pen USB Flashdrives can be either be branded using Pad Printing OR Laser Engrving. This printed flash drive measures 140x14mm and has a print area measuring 37x7mm or 30x8mm for laser engraving. 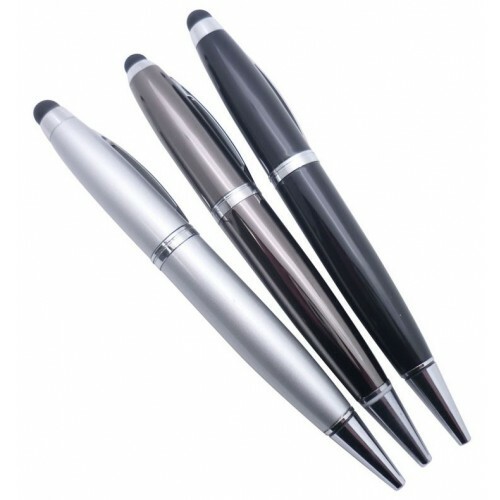 The Pen is made of metal and available in your choice of black, gun metal, silver, or white colours only. This customised item comes in different storage capacities including 1GB/2GB/4GB and 16GB. Please let our friendly sales team know the size that best suits your requirements. 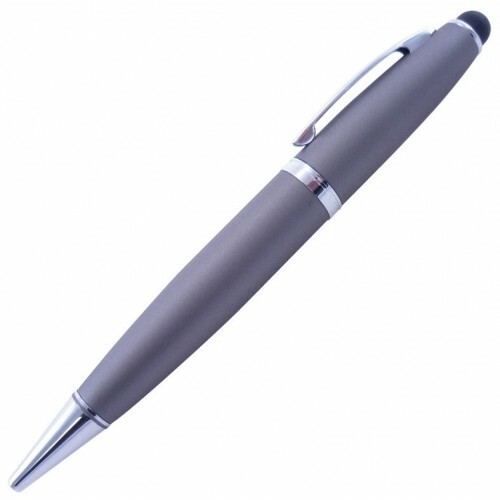 Our standard pricing is ex GST and inclusive of a one colour pad print of your logo on one side of the pen barrel. Your brand information can be uploaded to the customised flash drive for free for up to 150MB (more data can be uploaded for an additional cost). These branded items are packed in individual polybags with other packaging options including a magnetic gift box/ tins/ velour pouch and black tuck box. Branded USB flash drives take a standard 2-3 weeks to produce with your branding. Urgent job options are available - check out our 3day fast USB category. We can deliver USBs to wherever you are located in Australia. Whether you're in Sydney, Melbourne, Brisbane, Canberra, Adelaide, Perth, Hobart - or anywhere in between! Please be advised that at this stage international orders cannot be facilitated.